Here you'll find all the information you need to register for classes. 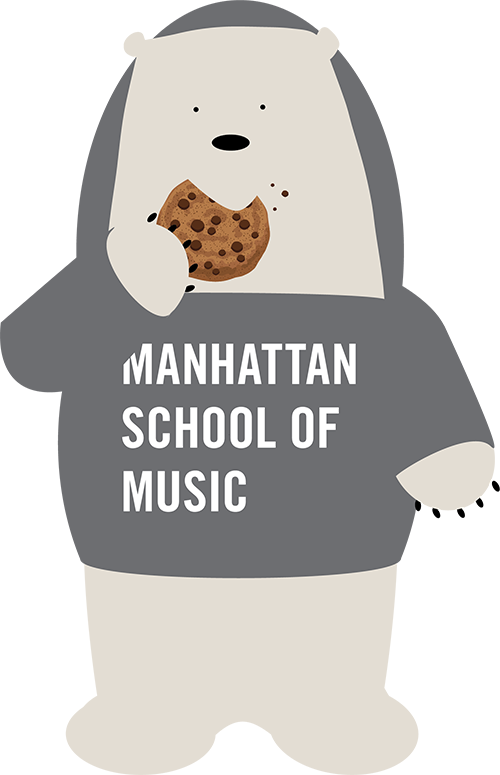 Permission to register for classes is granted to new students and former Manhattan School of Music students beginning a new program only if they have been formally admitted through the Office of Admissions and Financial Aid. Instructions and materials for registration are available at the times designated for new student registration (see Academic Calendar). In April and November, all current students who expect to continue their studies in the succeeding semester are required to preregister for classes. This involves signing up for an appointment with one of the advisors. – A former student seeking to complete unfinished degree requirements and formally readmitted by the institution. Such students should contact the Office of the Registrar for instructions on returning to complete the degree program. Please note: No student will be permitted to attend classes or lessons until payment of tuition and fees has been made in accordance with the arrangements described under tuition and fees in the School’s Catalogue. Full-time undergraduate, graduate, and postgraduate students are defined as those enrolled for 12 to 18 credits. Matriculated students are those working towards a degree or diploma. The School does not permit students to register for part-time status (less than 12 credits). Exceptions to this policy are made only for students completing their last semester of study in the BM and MM programs and for DMA candidates completing their non-classroom requirements. Requests for part-time status must be made in writing through the Application for Part-time Status Form. Such exceptions are reviewed on a case by case basis by the Vice President for Academics & Performance. Teacher assignments are made with great care and consideration for each student. Changes must be made in writing and submitted to the Vice President/Dean of Faculty & Performance or the Dean of Students. No changes will be processed after the conclusion of the Student Initiated Withdrawal Period. Applications for and information on changing teachers may be obtained from the Office of the Vice President for Academics & Performance, the Office of the Vice President for Instrumental Performance or the Office of the Dean of Students. After a student changes teachers, the former teacher is excluded from grading the student at subsequent juries and auditions. In addition, teacher assignments are subject to change based on teacher availability. Students who wish to change their course of study from one discipline to another must re-audition. Audition dates and information on requirements of a new program of study can be obtained from the Office of Admissions and Financial Aid. Information regarding the transfer of credits from one program to another can be obtained from the Office of the Registrar. Elective Credits are those credits not distinctly specified in a particular major’s course sequence. Electives are either general or department specific and exist in most departments. Students are allowed and indeed encouraged to take courses outside their majors as General Electives, as long as there is space available in the course for non-majors and they meet the prerequisites. Students are not permitted to take major lessons or ensembles in order to fulfill elective credit requirements. Full-time lessons are scheduled for fourteen (14) one-hour sessions per semester. Undergraduate students are required to take at least eight (8) semesters of full-time lessons, graduate and doctoral students are required to take four (4) semesters and professional studies students are required to take at least two (2) semesters. The number of semesters of full-time major lessons required of transfer students is determined at the time of acceptance into the school and is dependent upon the performance level of acceptance. Students who have completed their major lesson requirement but have not performed their Graduation Project (Accompanying majors only), Concerto requirement (Piano majors only), Graduation Jury and/or Recital, are required to register for half-time lessons in order to prepare for the requirement. Half-time lessons are seven (7) sessions at three (3) credits for graduate students and two (2) credits for undergraduate students. Class times are published in the Schedule of Classes and are available at registration. A second publication of the Schedule containing class times and locations will be available the first day of classes. Changes made to the schedule after this final printing are published separately. Underenrolled courses are subject to cancellation at any time during the first two weeks of classes. A special program of cross-registration between Manhattan School of Music and Barnard College allows qualified Manhattan School of Music undergraduates to have access to a greater variety of academic courses taught at Barnard. Students must be in good academic standing with a cumulative Manhattan School of Music grade point average of at least a B. Appropriate Barnard courses must be approved by both the Manhattan School of Music and Barnard Offices of the Registrar and cannot be more than three (3) points. A surcharge for a Barnard course will be assessed by the Manhattan School of Music Bursar. For more information on this program, please look here. Students may petition to audit a course for no credit if space is available in the class. Approval of the instructor and department chair is required. The first course audited in an academic year is free; each additional audited course will be subject to an additional charge as outlined in the tuition and fees section of the catalog. Independent Study provides the student with an opportunity to engage in exceptional research projects. Independent Study Petition Forms are available in the Office of the Registrar. Such requests will be reviewed for approval by the Registrar and the Vice President for Academics & Performance. A student is granted no more than one Independent Study during his or her residency in any program of study.